At a time when highly educated women are “opting out” of successful careers because the challenges of “doing it all” are too great, it would seem safe to conclude that working and motherhood don’t mix. But for those who want to work, and those who must work for financial reasons, This Is How We Do It focuses instead on the joy and fulfillment that working motherhood can bring. 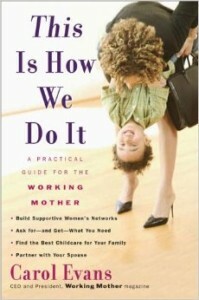 Drawing on original research culled from five hundred working mothers; on the wisdom of, Working Mother magazine’s nearly 3 million readers; and on the best practices of its highly competitive “100 Best Companies” list, this timely book targets the 26 million working mothers in this country—as well as the companies that want to employ them— helping readers transition from a work life to a life that works.